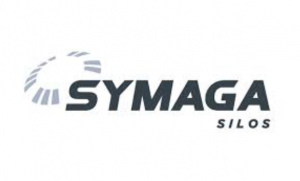 Symaga Silos is a Spanish company specializing in the design, manufacture and supply of galvanized steel silos for grain storage. With more than 30 years of experience, exceeding 7,000 installations and more than 28 million m³ of grain storage built in more than 140 countries. Symaga supplies a wide range, flat up to 25.000 m³, and hopper silos, 12 meters in diameter with 45°hopper and 2,643 m³ capacity, with double welded compression ring, with 60° and 66° hopper. We provide Z600 galvanization, ensuring the highest service life of the market. We are the first silo manufacturer obtaining CE certified. Symaga supplies a wide range of galvanized steel silos for grain storage, flat up to 25.000 m³, and hopper silos, 12 meters in diameter with 45°hopper and 2,643 m³ capacity, with double welded compression ring, with 60° and 66° hopper. We provide Z600 galvanization, ensuring the highest service life of the market. We are the first silo manufacturer obtaining CE certified. Symaga Silos is a Spanish company specializing in the design, manufacture and supply, with more than 30 years of experience, exceeding 7,000 installations and more than 28 million m³ of grain storage built in more than 140 countries.